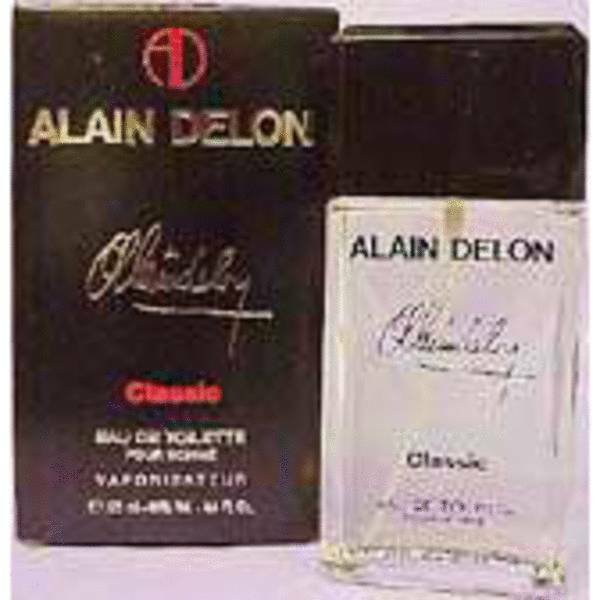 Alain Delon Classic Cologne by Alain Delon, Alain Delon Classic is a timeless scent first offered by the French actor’s brand in 1980 . This men’s cologne contains an appealing concoction of masculine notes that make the scent unforgettable without overwhelming the senses. The top notes combine fresh and invigorating scents including laurel, the energizing spice of basil and citrusy bergamot. Providing a subtle edge, wormwood adds a bitter green aroma reminiscent of absinth, while juniper evokes Read More Read More the scent of gin. Earthy pine, comforting cinnamon, brightly floral carnation, lemony aldehyde and rosy geranium comprise the fragrance’s heart notes. Base notes of wild moss, warm amber, almond-tinged tonka and the earthy aroma of cedarwood perfectly round out the cologne from Alain Delon. Prior to creating his own trademark in 1978 and forming the company that would bear his name, Alain Delon enjoyed a long and prosperous film career. The brand’s first fragrance release was quick to follow. The company’s range of offerings grew to include cognac, champagne, spectacles, watches, clothing and additional accessories. All products are original, authentic name brands. We do not sell knockoffs or imitations.